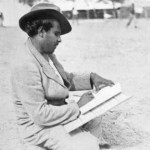 In 1934 a Western Arrernte Aboriginal man by the name of Albert viewed an art exhibition at the Lutheran Mission of Hermannsburg, Central Australia. 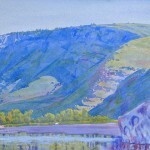 The exhibition was arranged by Pastor Albrecht and featured landscape watercolour paintings by Rex Battarbee and John Gardner. Over the two day exhibition more than 300 Arrernte people attended, they stood enchanted and amazed at the sight of their tribal lands portrayed in a new artistic form. The exhibition fired Albert’s imagination and interest to learn the new craft. It would bring him fame, freedom but also despair as he became thrust into a challenging new world. 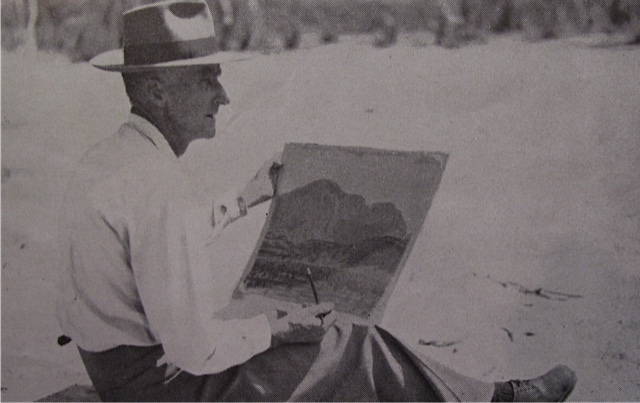 Albert success with watercolour painting inspired a school of artists which became known as the ‘Hermannsburg School’. 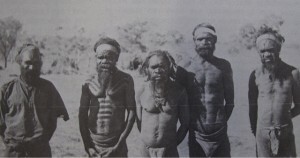 Walter Ebatarinja was one of the first to follow in his footsteps then came the three Pareroultja Brothers and Albert’s sons. 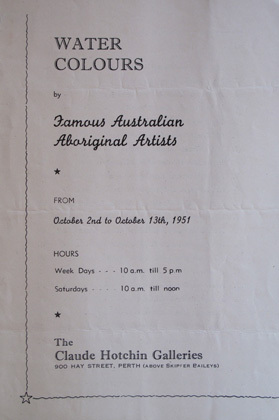 By the late 1940s exhibitions of Hermannsburg art were being held across Australia. In later years however they met criticism with some questioning the integrity of the Western Arrernte watercolourists vision. In later years it could be said that some artists took a more formulated approach to subject when they were working from Alice Springs and producing art more rapidly for the hungry tourist market. 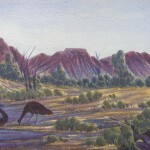 In contrast early Hermannsburg works were painted from life and display a diverse range of subjects within the gorges of the West MacDonnell Ranges. Otto Pareroultja’s later work however is a clear exception. 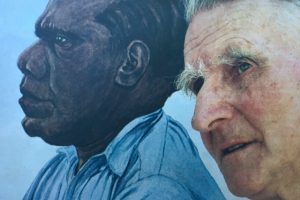 Although in in later years he mostly painted from memory each work is highly creative and emboldened with powerful cultural themes expressing the artists relationship to his country. 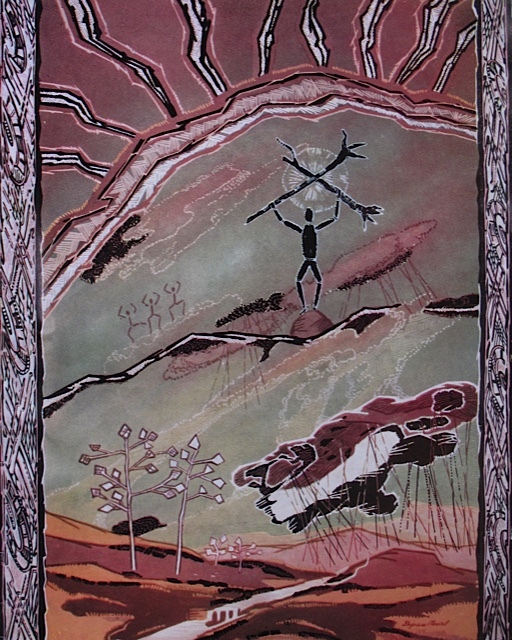 All Hermannsburg watercolours display unique qualities including tribal symbolism, expressive colours and ‘sensitive’ choice of subject. 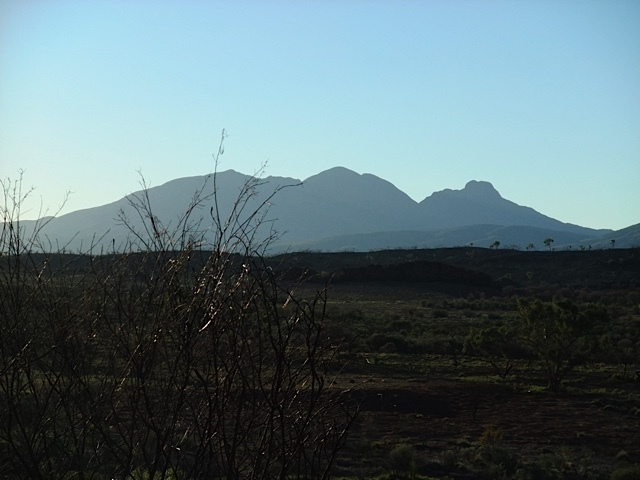 The Arrernte artists see the landscape according to their own cultural beliefs and paint their subjects with this in mind. To quote T. G.H Strehlow ‘The landscape is their family tree’. 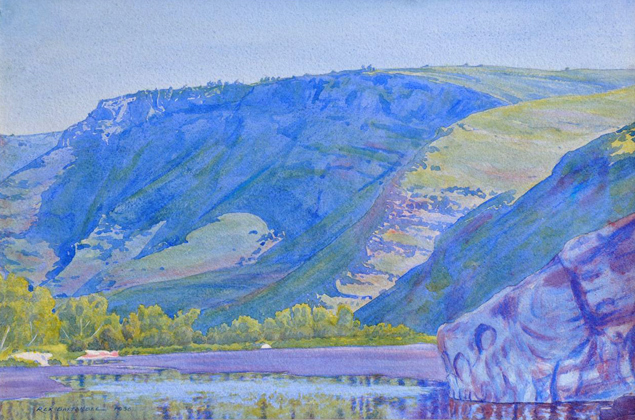 Such inspiration imbues their landscapes with a dimension uniquely of their own. 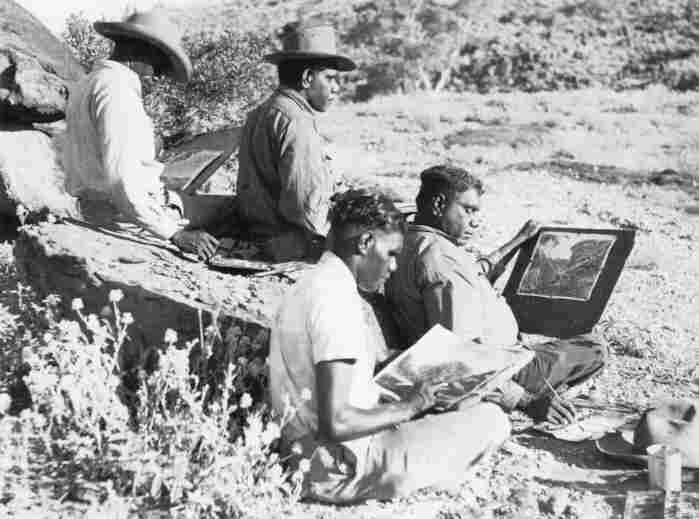 By embracing the Western technique the Arrernte artists were able to satisfy their own cultural desires whilst sharing the beauty of their land to a wider audience. Their success paved the way for the foundation of other schools of indigenous art across Australia. 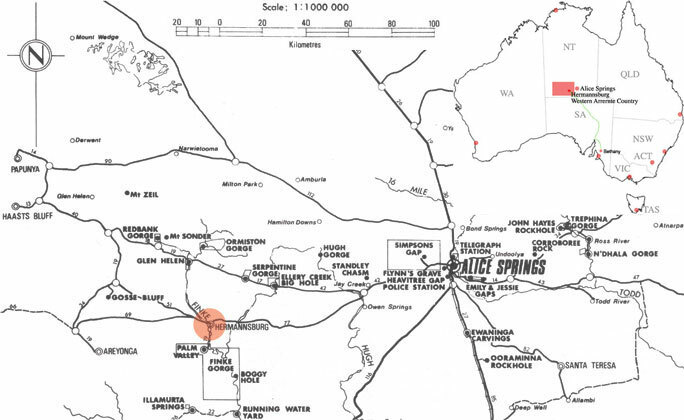 The Western Arrernte People are an indigenous tribe of Central Australia. 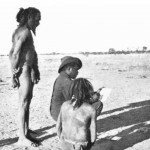 Anthropologists believe that they are the descendants of the first people to have arrived in Australia more than 40 thousand years ago. 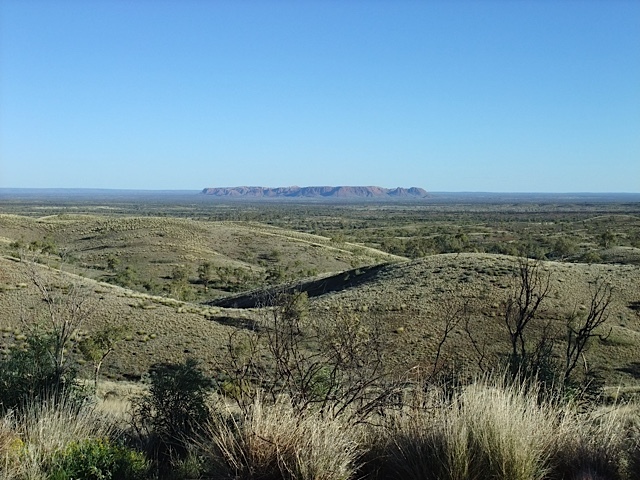 Their tribal lands lie in the Western MacDonnell Ranges, an area characterized by rugged mountains, deep gorges and arid plains. It is some of the most spectacular country in Australia, but also the harshest and at times stricken by drought. 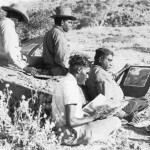 The Arrernte people prospered in the hardy conditions by living as an organized community, one in which each member played an important role. Men would carve weapons and utilize their remarkable tracking abilities to hunt. Women would collect honey ants, prepare food and care for the children. Tribal elders used medicine to heal the sick and would perform sacred ceremonies to replenish the natural world. Necessities like food and water were shared throughout the group. Aboriginal spiritual beliefs are intrinsically linked to nature. They are conveyed through dream time stories which are passed from one generation to the next. The stories teach lessons for survival and explain how the tribes oldest ancestors formed the earth. Their art reflects this unique perspective of the world. They used symbols to tell stories or depict important sites. This language was written on sand, rock and sacred objects. Despite the challenging arid environment they lived culturally rich lives in which music, dance and story was apart of everyday life. Their strictures emphasized the importance of living as a community in which member played and an important role. The traditional name of the Hermannsburg area is Ntaria. 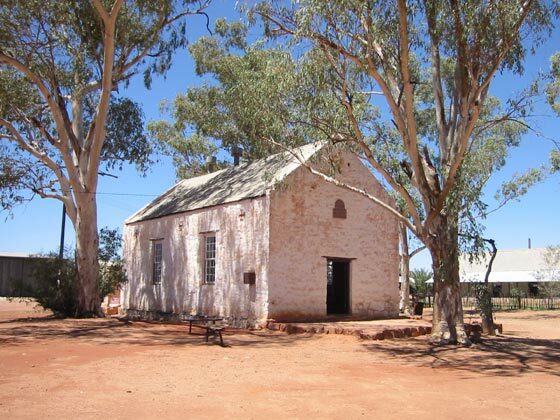 On October 23rd, 1875, the missionaries departed from the German settlement of Bethany, north east of Adelaide, South Australia. 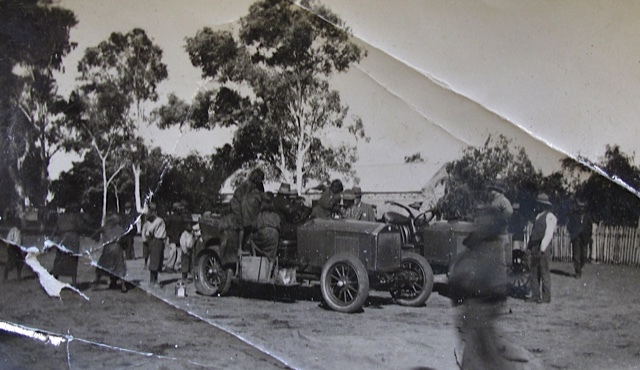 Their journey to the centre of Australia would test the spirit and courage of the two men. “How gladly I would have preferred to relate only good news. Yes often our courage nearly fails us. Often I have been almost tempted to exclaim in the words of the prophet: It is enough now, O Lord, take away my life, for I am sick at heart”. Kempe 500 miles north of Adelaide. 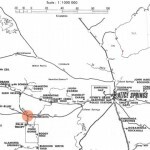 On Friday, June 8, 1977, afer 20 months and over 1,000 miles the missionaries chose the site for the mission on the banks of the Finke river. They named it after the town in Germany where the they had trained. 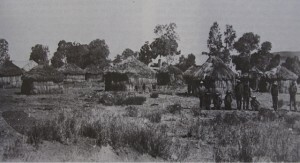 For 13 long years the missionaries toiled in the tough climate, erecting several buildings including a church and school. 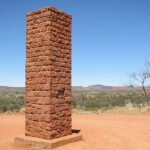 The missions ambition was to provide Aboriginal people with religious instruction, European education and Christianity. 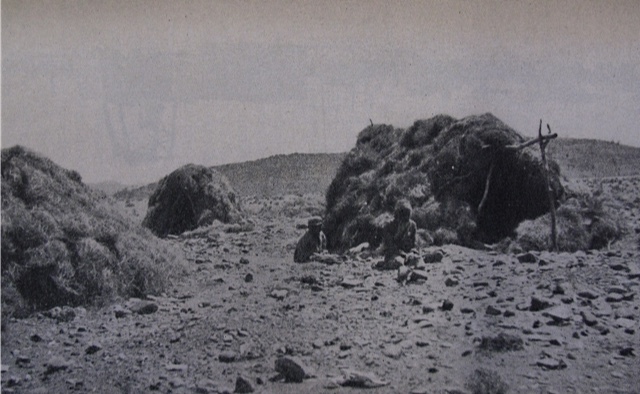 By 1891 all seemed lost as the mission was abandoned by the last of the missionaries. Three years later, on October 8, 1894, Pastor Carl Strehlow arrived to find the settlement close to ruin. Over the next few years he worked tirelessly to rebuild and improve the mission. 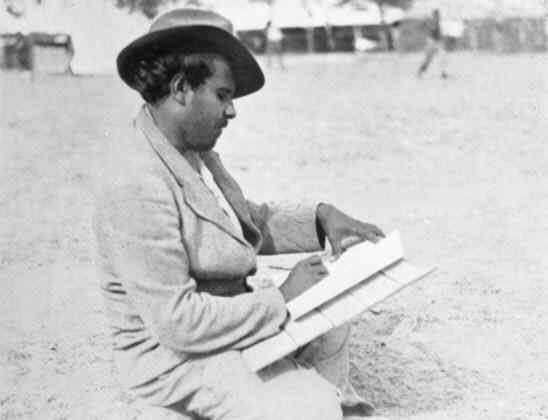 A talented linguist he conducted pioneering research into the Arrernte language and customs. 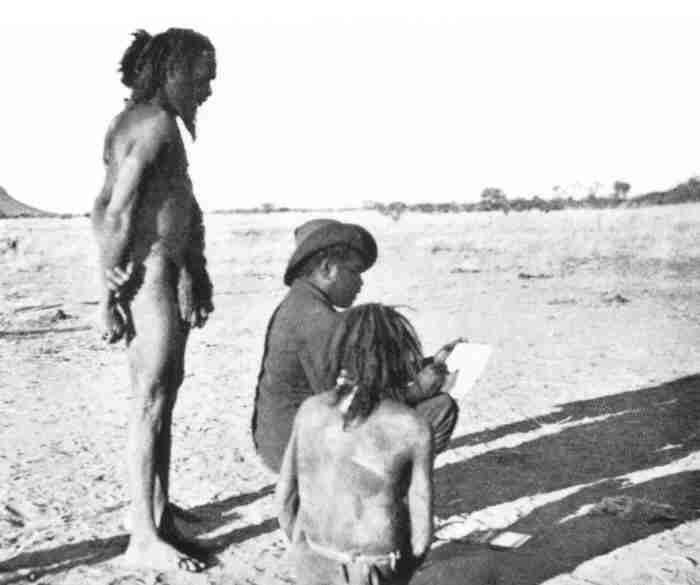 During his 28 years he gained respect from both the black and white community becoming known as Ingkata (chief) by the Aboriginal population and to the white population the ‘Iron Man’. The great man passed away on the fateful trip to Horseshoe Bend. In 1922 H.A. 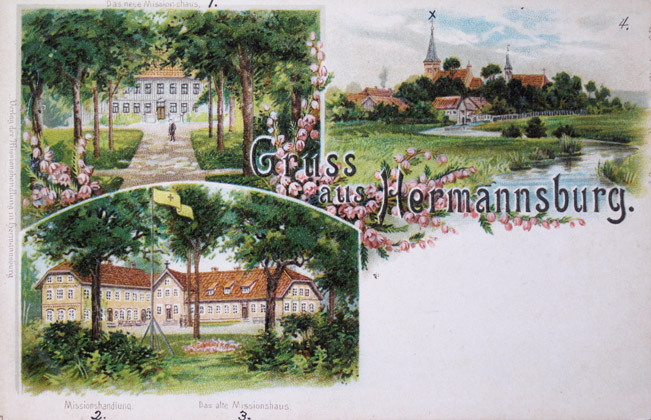 Heinrich took over until the appointment of Pastor F.W. Albrecht in 1926. Albrect’s arrival signaled a new era for the mission. Under his leadership the mission sought to introduce a new industrious regime. The main form of employment at the mission was its Cattle run. In the late 1920s while holidaying in Adelaide, Pastor Albrecht saw for sale Aboriginal artefacts decorated with tribal symbols. On his return to the mission he encouraged some of the men to carve and decorate weapons by burning designs into them with red hot fencing wire. 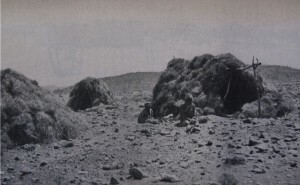 In its early years the mission had no permanent supply of water and struggled in times of drought. 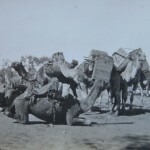 The great drought of the 1920s ravaged Central Australia and by the time it had broken in 1929 it had claimed many lives. The main cause of suffering was scurvy caused by vitamin deficiencies. Pastor FW Albrechet had long campaigned for the need for the water and at last his desire would come to fruition. Funds were raised in Melbourne with the help of artists Una and Violet Teage to build a water pipeline from Kaporilja Springs. It was a remarkable achievement and enabled the planting of a large garden which became a vital resource at the remote settlement. 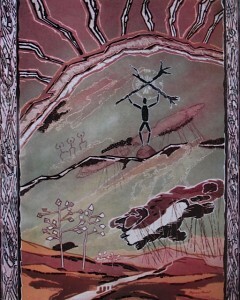 The laying of the pipeline was depicted on several boomerangs made by Albert Namatjira. 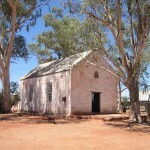 The Lutheran church handed the mission back to the the Western Arrernte people in 1982. It is now a popular stop for tourists who marvel at the historic 19th century buildings and revel in its rich artistic history. 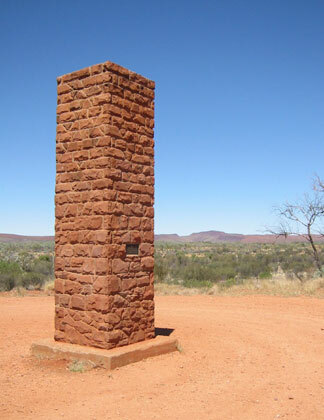 I highly recommend visiting Hermannsburg if you are Central Australian bound! 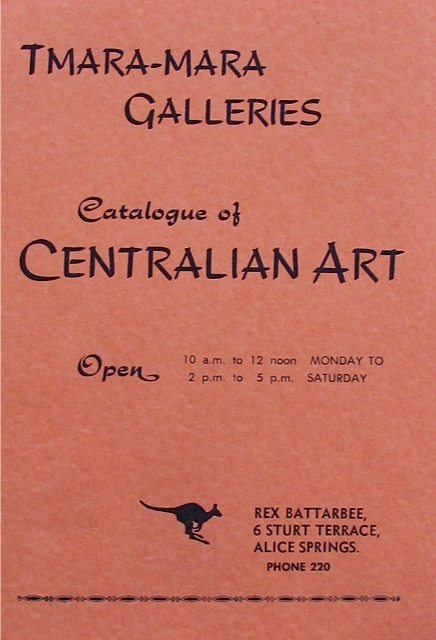 Rex Battarbee was born in Warrnambool, Victoria in 1893. In 1916 he joined the Imperial Force and and was sent to Europe to fight in the First World War where he was seriously injured and left on the battlefield for two days before being rescued. Upon returning to Australia he was hospitalized for four years. Whilst recovering from his injuries he took up painting. Unable to return to work on the land he moved to the Melbourne to study commercial art before taking an interest in landscape painting. 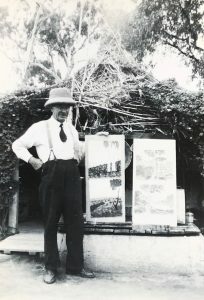 In 1932 Battarbee and fellow artist John Gardner set off on a painting trip to Central Australia. The two artists traveled in a Model T Ford adapted as a caravan. The pair reached Hermannsburg mission and painted in the surrounding country, met with the missionaries and many local Aboriginal people before making the long trip home. Two years later Battarbee and Gardner returned. 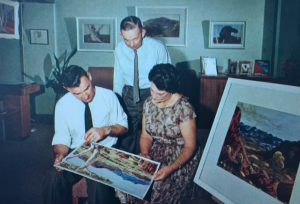 This time they painted in the surrounding country for four months but before leaving Pastor F.W.Albrecht arranged to hold an exhibition of their artwork. 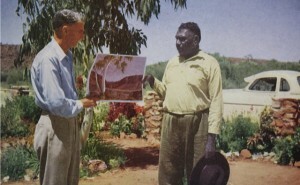 Over the two day exhibition more than three hundred Arrernte people attended, including Albert. 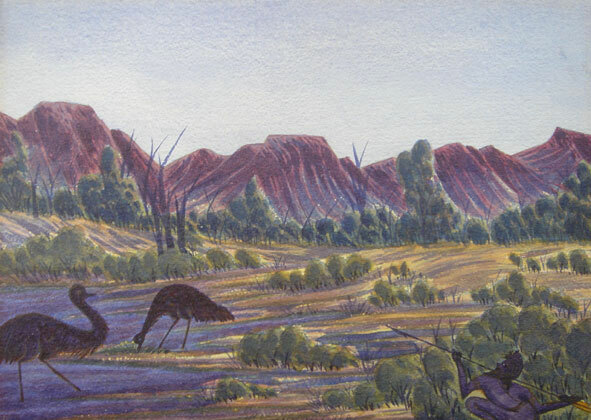 On his return to Melbourne Battarbee won the 1934 Centenary Prize for one of his Central Australian landscapes. In 1936 Batterbee returned unaccompanied to the mission and gave Albert his first lessons in watercolour painting. 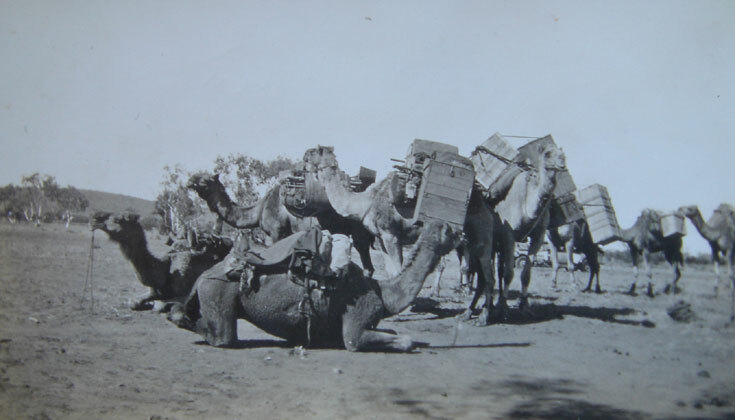 In about 1940 Battarbee moved to Central Australia. This put him closer to Albert and his burgeoning artistic career. 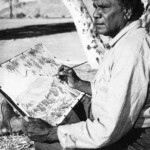 It also enabled him to help other emerging Aboriginal artists who were becoming inspired by what Albert was achieving with his art. He also continued to practice art as well. In the 1940s and 50s Battarbee acted as member and chairman for the Aranda Arts Council. 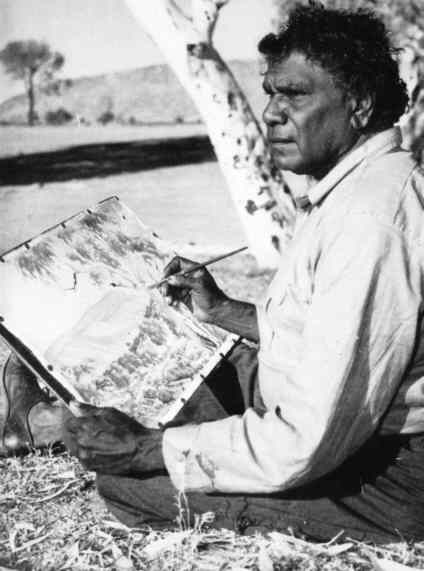 After this time he continued to promote and support the Hermannsburg artists and also opened up a gallery from his home in Alice Springs called Tmara-Mara where played an instrumental role in promoting Aboriginal art and culture to a world wide audience. 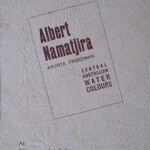 Albert Namatjira Central Australian Watercolours 1938. 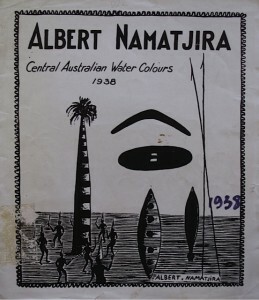 Albert Namatjira’s first major exhibition. 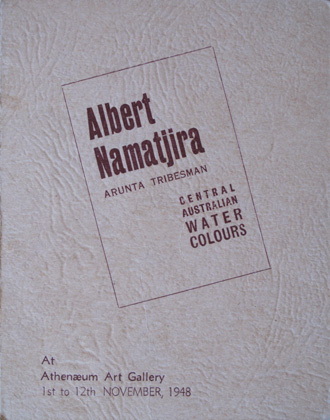 Albert Namatjira ARUNTA TRIBESMAN CENTRAL AUSTRALIAN WATERCOLOURS At Athenaeum Art Gallery 1st to 12th November, 1948. Includes 44 works with prices ranging from 18 to 55 Gns. 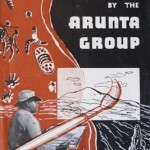 EXHIBITION OF PAINTINGS BY THE ARUNTA GROUP Sponsored by the BRISBANE TELEGRAPH Held in the Brisbane Telegraph Auditorium, June 5th to 12th Year? 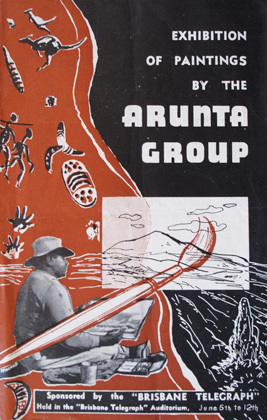 Forward by O.A.Wallent June 1954 and biographical information of many Hermannsburg Artists. 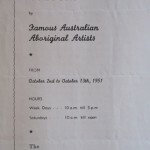 WATER COLOURS by Famous Australian Aboriginal Artists FROM October 2nd to October 13th, 1951. 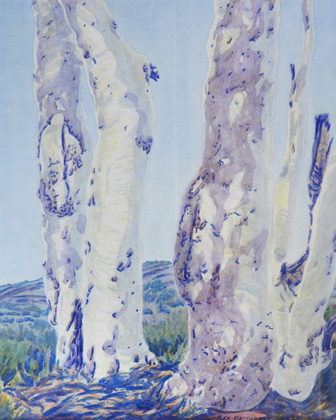 The Claude Hotchin Galleries 900 HAY STREET, PERTH. 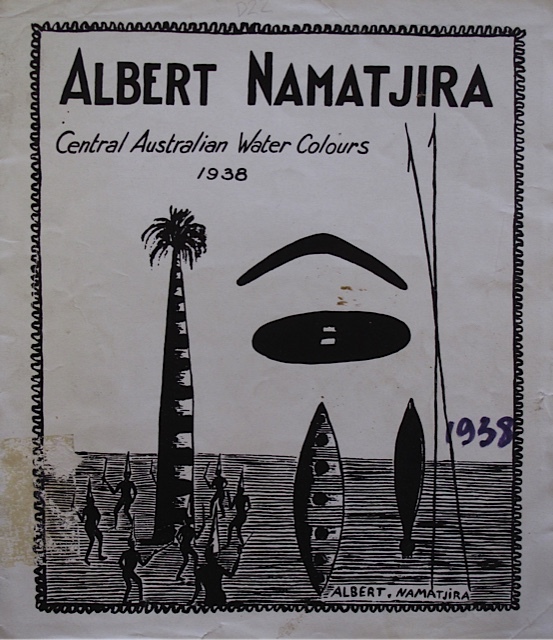 Includes 50 works with the most expensive being by Albert Namatjira 30 Guineas, Walter Ebatarinja 25 Guineas, Enos Namatjira 18 Guineas, Otto Pareroultja 16 Guineas, Cordula Ebatarinja 14 Guineas, Oscar Namatjira 14 Gunieas, Ewald Namatjira 14 Gunieas, Edwin Pareroultja 12 Guineas, Reuben Pareroultja 9 Guineas, Adolf Inkamala 9 Guineas, Henoch Raberaba 9 Guineas, Richard Moketarinja 7 Guineas and Gerhard Inkamala 7 Guineas. 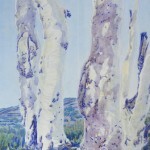 The Paintings are individually numbered and titled. 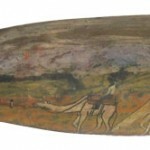 TMARA-MARA Galleries Catalogue of Centrailian Art. 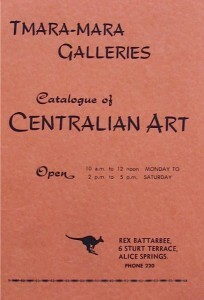 Rex Battarbee’s Alice Springs gallery. Art Exhibition of the 1956 Melbourne Olympic Games. 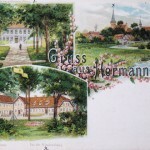 Includes collection of Hermannsburg School watercolours, cover design by Byram Mansell.